MasterCard’s Index – which covers Australia, New Zealand, China, Hong Kong, Taiwan, Japan, Korea, Malaysia, Philippines, Thailand, Indonesia, Singapore, Vietnam, India, Bangladesh, and Myanmar – calculates an aggregate score for each country based on three components: basic money management, financial planning and investment. 8,087 respondents aged 18-64 in 16 countries in Asia Pacific took part in the survey. Singapore posts largest decline in financial literacy. With a Financial Literacy Score of 68, regional financial hub Singapore saw the biggest decline in its ranking by falling from second to sixth place, recording the largest decline out of 16 Asia Pacific markets. The key reason for the overall decline in financial literacy seems to be a fall in consumers’ understanding of basic money management with that specific component falling almost six points. Going by the survey results, people in Singapore are finding it harder to keep up with bills, budget effectively and manage unsecured loans. Taiwan shoots to the top on the financial literacy charts. 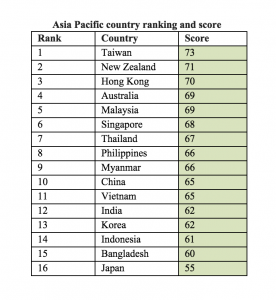 With an overall Financial Literacy Score of 73, Taiwan’s advancement of two points to a score of 73 puts it in first place in the Asia Pacific, allowing it to regain top spot after dropping to third place in the previous survey. Here the Taiwanese savviness when it comes to financial planning shows – results from recent research conducted by Manulife suggested that seven out of 10 Taiwanese investors are not confident that their mandatory pensions will be sufficient to cover their retirement expenses, and that lack of confidence and know-how may be prompting the Taiwanese to be active and prudent savers. In fact, data from Directorate General of Budget, Accounting and Statistics Taiwan (DGBAS) show personal savings in Taiwan to have increased by 9.96% (1424600 TWD Million to 1582300 TWD Million) from 2011 to 2012. Japan remains rooted at bottom spot. While developed markets tend to rank higher than emerging ones, Japan remains a curious outlier staying in the bottom spot for the 3rd consecutive year. Japan’s score has been steadily declining since the survey was first launched and the latest results indicate further deterioration in money management skills, and is likely attributed to the country’s ageing population and stagnant income growth. Currently the world’s oldest country, Japan’s aging population are now the biggest spenders of their savings and retirement funds. OECD figures show that compared to its G7 peers, Japan’s household savings rate is 0.6% of disposable household income, a stark contrast to other countries such as Australia (9.3%) and South Korea (5.3%). 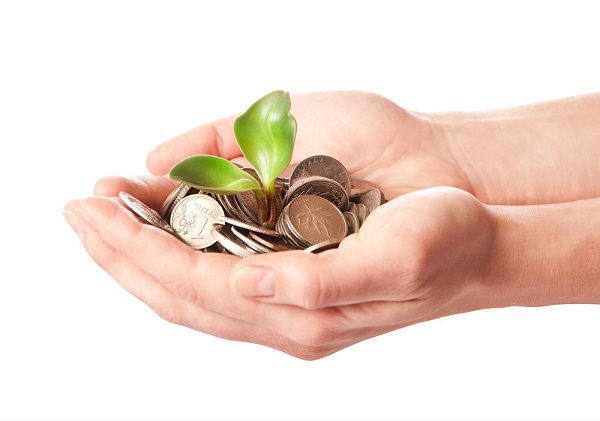 “Crucial to improving financial literacy is encouraging education at an early age. A practical understanding of how to manage money, including saving and borrowing, should be provided by parents and taught at school. The goal is to eventually develop financial know-how so that people can effectively manage money matters such as household cash-flows and loans,” said Deborah Heng, group head and general manager, MasterCard Singapore. “There is no one reason for the falling level of financial literacy across the region but the data clearly shows that the young and unemployed need additional support. Educating people so they can plan for the future is a crucial aspect of financial inclusion. In both developed and emerging markets, people are struggling to understand basic financial concepts such as inflation,” added T.V. Seshadri, Group Executive, Global Products and Solutions, MasterCard Asia Pacific. Full scores and rankings can be found here.